A little while ago, the women in the knitting village asked us how much money they had earned over the year. They wanted to tell their husbands how much they made. 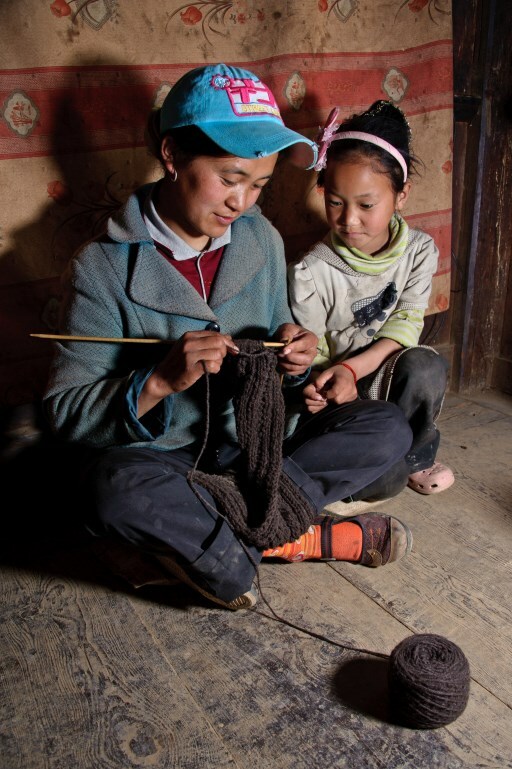 On average, they made about $750 USD last year with the part-time knitting they did for us. (A typical laborer in the city makes about $15 USD for a full day of work.) What we didn’t realize was that their children were only able to go to school because of this money. There are no tuition fees here and the government pays room and board for these children when they are at the boarding school in the bigger towns. (They start boarding school in Grade 1.) But the families can’t afford to pay the travel costs to get the children to and from school. They have no money. They live off the land. They stay warm in their homes and have enough food to eat but they have no money for travel. Bringing them employment means their children can go to school. Bringing them employment means they can afford glasses so they can continue to work. And visiting them in their village with our vehicle means we can deliver items from town that they can’t afford to go and pick up. We asked one of our knitters how many other families there were in the village that couldn’t afford to send their children to school. She held her hands to her face, shook her head, and said, “Many many more.” The production and sale of these hand-knit garments means these women can earn money to put their children in school. They don’t want handouts. They want to work and they are great at it.